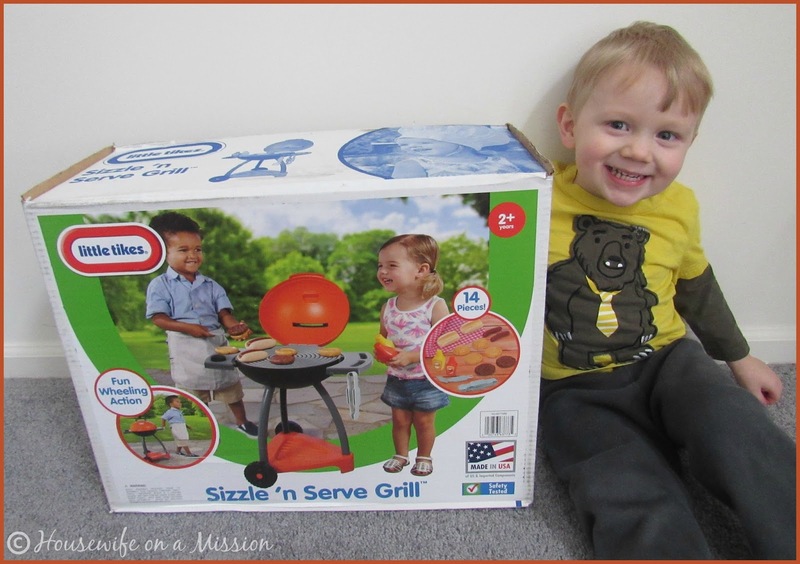 The Story Of Three: Little Tikes Sizzle 'n Serve Grill Giveaway! 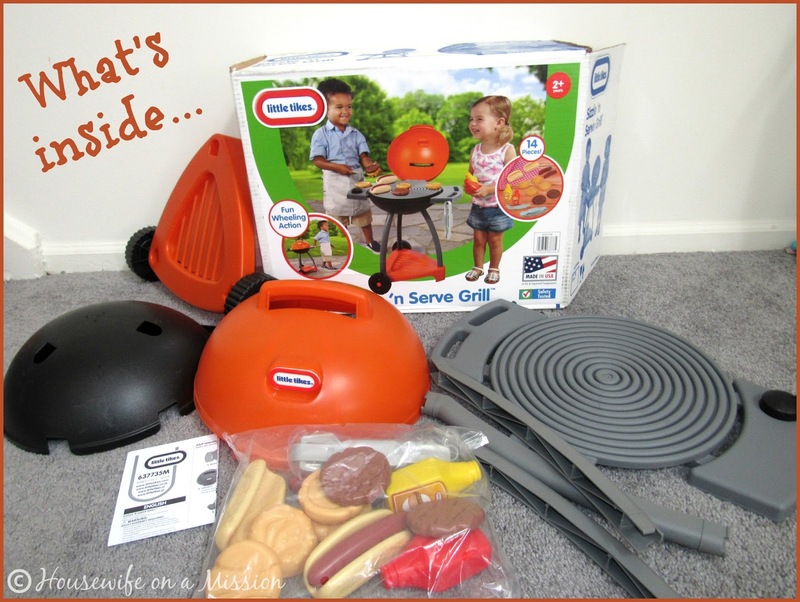 Little Tikes Sizzle 'n Serve Grill Giveaway! Disclosure: Housewife on a Mission received the following item mentioned in this post at no cost to facilitate her review. All opinions are her own and were not influenced. Today is the first day of Spring and we couldn't be more excited! We're ready for evening family walks, warmer weather, flowers blooming and cooking on the grill! Don't you just love the smell of food grilling? I sure do! My son was super happy when his new toy grill arrived at our home. He couldn't wait for me open to it, to say the least. Putting the grill together was very quick and easy to do. No tools are needed and the instructions are clear and easy to follow. In no time at all, I had the grill put together! My son absolutely loves playing with his new grill! The lid easily opens and closes, and all of the foods can fit under the lid when not playing with the grill. I like how little the grill is-- my son is almost 3 years old and is tall for his age, but is not too big or tall for this grill. 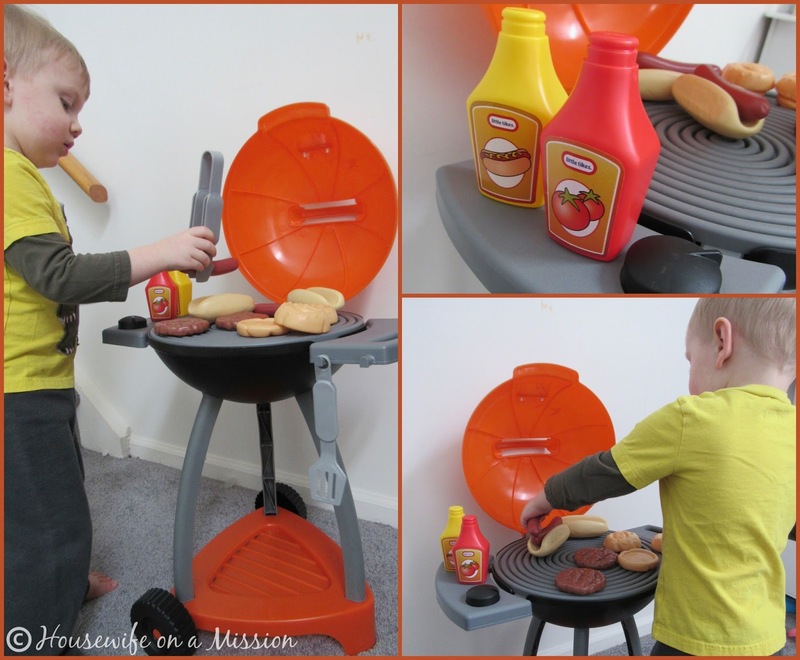 There are 2 wheels on the bottom for your child to wheel-around the grill if they want to take it from one room to another, and it's lightweight enough for a small child to move it around (my son can easily move it around). I like that also does not take up a ton of space. Being that we have 2 kids, we can quickly accumulate toys and toy crowding is always a concern of mine. This is small enough to fit in a corner or along a wall and really does not take up much space since it's not bulky. Also, it's not a flimsy product. Both of my kids have been playing with this grill every day since we have received it, and they love it! 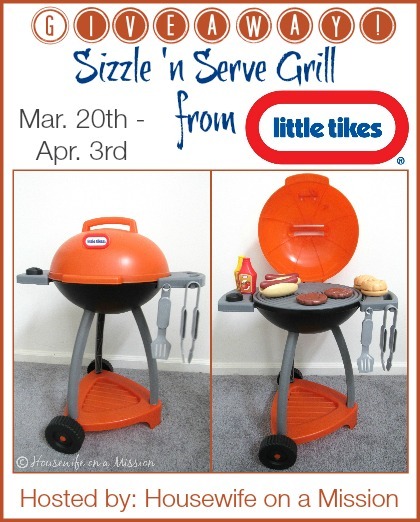 Win it: One of our readers are going to win a Little Tikes Sizzle 'n Serve Grill! Disclosure: Housewife on a Mission & IHeart-Motherhood are not responsible for prize fulfillment or shipment to giveaway winner. Winner will be drawn at random then emailed and will have 48 hours to respond to claim prize. If no response is given, another winner will be chosen. Facebook, Twitter, Pinterest, and any other social media are not affiliated with this giveaway. I would love to have this for my nephew because I he loves to do everything his dad does and this would be something he could do with him this summer! 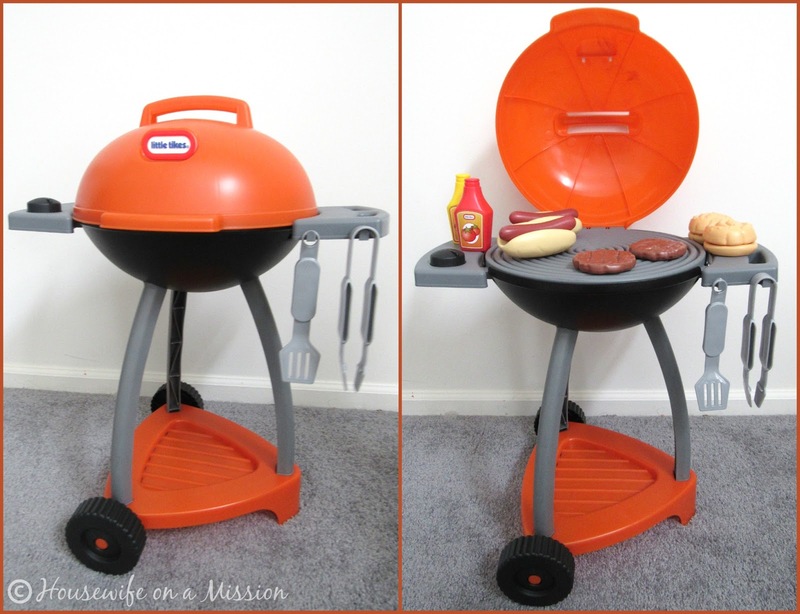 I would gift this to my grandsons because they would be so excited to pretend to grill just like their daddy does! I would love to win this for my nephews. They would love it!